The consistently good food at Georgies café restaurant has earned a review in the Sydney Morning Herald Good Food Guide for 11 consecutive years 2000-2010. Georgie’s is nestled inside the Grafton Regional Gallery and opens out to a leafy courtyard that invites guests to stop and take in the calming ambience. There is also seating inside the air conditioned gallery space right among the latest contemporary exhibitions. Georgie’s offers coffee and cake all day (and at night) and a stylish modern menu for Lunch or Dinner with special attention paid to serving local produce from the Clarence Valley and surrounds. 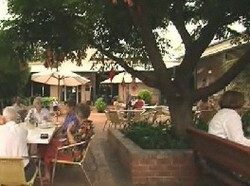 Jacaranda Hotel is a local business operating in the Grafton area. 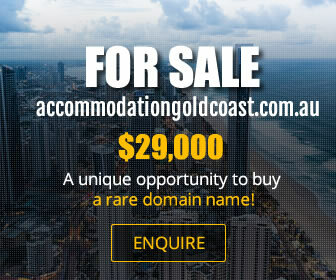 Centrally located in the heart of Grafton, near the magnificent Clarence river, this is a popular spot with locals and travellers alike. We have a late night licence, a good bistro with tasty food, a cosy bar for those Friday afternoon drinks and accommodation available. Jacaranda Hotel often has live entertainment, and is family friendly. Only late night entertainment venue in Grafton with top Djs and bands. At the Thai Palace Restaurant, we serve a great array of delectable, fresh and affordable dishes for both dine in and takeaway. Thai Palace restaurant also provides a catering service. Beef, rice dishes, soups, chicken, pork, boneless duck and seafood is available at our location. Call or visit us today. We will make sure your dining experience is an enjoyable one. For an Authentic taste of India, be sure to visit the Indian Cottage in Grafton. Though you can dine in the great atmosphere of our historic building, we also offer a convenient takeaway service. Vegetarian options are available, and we serve tandoori chicken, curries, tikka, seafood, naan bread. rice dishes and much more. Our restaurant is open 7 days a week. Call or visit us today! 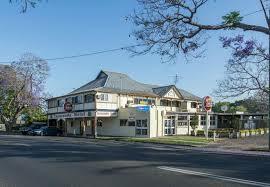 Jacaranda Hotel is a local business operating in the Grafton area. Centrally located in the heart of Grafton, near the magnificent Clarence river, this is a popular spot with locals and travellers alike.We have a late night licence, a good bistro with tasty food, and a cosy bar for those Friday afternoon drinks. Jacaranda Hotel often has live entertainment, and is family friendly.Country style accommodation is also available. Drop in for a delectable treat at Vines at 139 licensed café in Grafton, for nothing but the best dining experience. Our versatile menu caters for a variety of dietary needs and differing tastes. Whether you are a sweet tooth, vegan or looking for that perfect meal, there is something for you here.Catch up with some friends for a coffee in our café over brunch or bring the family for a Friday night dinner as we aim to deliver the best possible dining experience. We offer breakfast, lunch and dinner crafted by our passionate chefs that will leave you full and satisfied. You can even make us a part of your special day by hiring our venue for your wedding reception. We can make it a day you will remember forever. Show off your good taste by holding a garden party or your next conference at our venue. We are here in Grafton to deliver delicious food in our restaurant and café, so come by Vines at 139. Clean, nourishing wholefoods to help you live better each day!